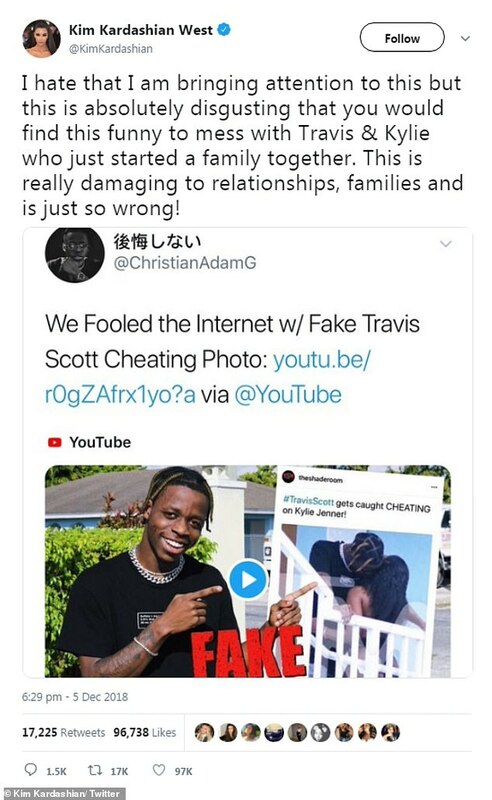 Kylie Jenner’s long-term boyfriend Travis Scott, 26, slammed internet trolls for claiming he had cheated on the reality star earlier on this week. 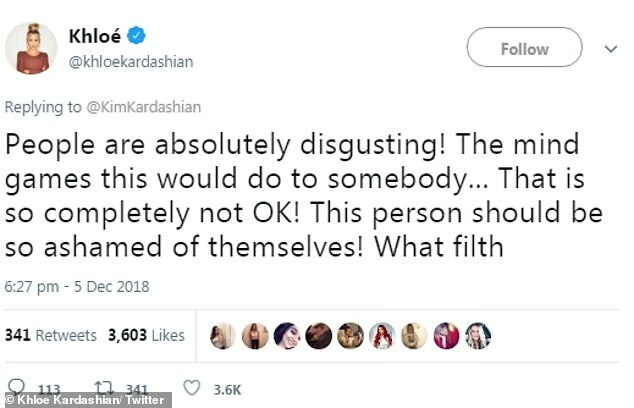 The Keeping Up With The Kardashian stars furiously defended Travis, 26, on Twitter branding the hoax ‘absolutely disgusting’. 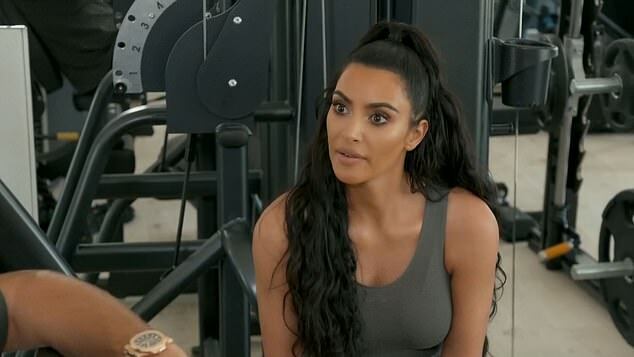 Rumours surfaced that the rapper had betrayed Kylie after after a blurry photograph emerged of a man who looked similar to him kissing another woman surfaced online. 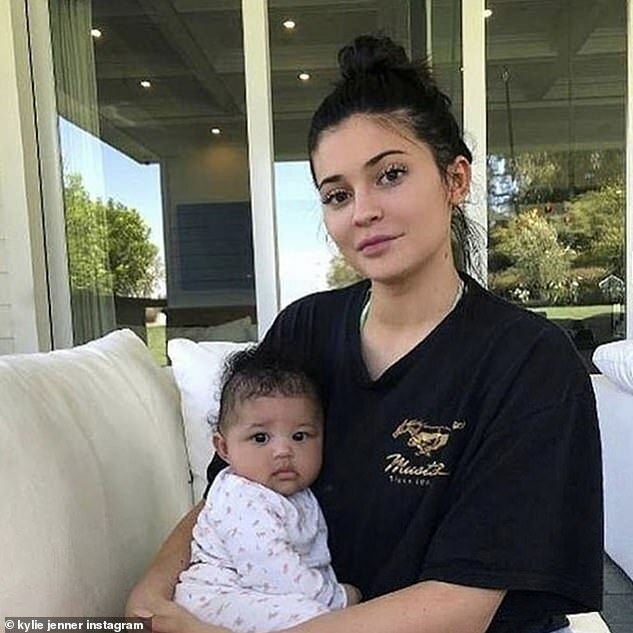 It comes after Travis, who is the proud father to his 11-month-old daughter Stormi with Kylie, hit out at the pranksters for ‘trying to destroy true love’. Taking to his Instagram stories, the Astroworld hitmaker criticised the accusations, insisting they were trying to make something out of nothing. 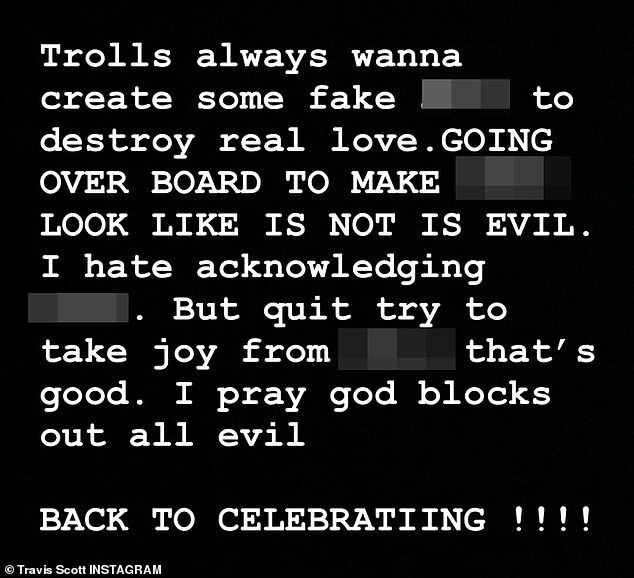 He wrote: ‘Trolls always wanna create some fake s**t to destroy real love. GOING OVER BOARD TO MAKE S**T LOOK LIKE IS NOT IS EVIL. It’s not the first time the pair’s followers have thought they are set to marry. 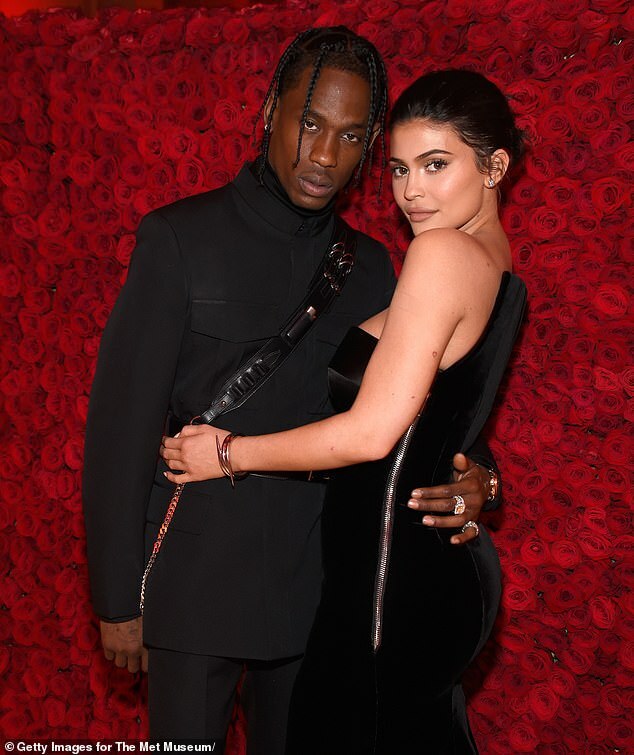 In October, Kylie sparked marriage rumors when she called Travis ‘hubby’ after he giftedsher an elaborate display of pink and white roses. A month later the couple sparked engagement speculation once again after Kylie arrived home to an over-the-top display of roses from Travis. It comes after Kylie recently sparked rumours that the couple had got engaged. 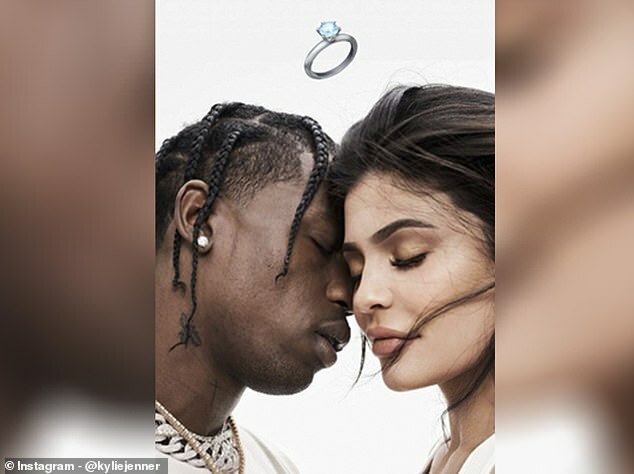 The beauty mogul shared a snap to her Instagram stories with a ring emoji, leading fans to speculate the rapper may have popped the question. He told E! Online: ‘I keep Stormi on the road, she’s got her own dressing room vibe, got her own bus vibe. The rapper added that he enjoys being able to give his daughter things he didn’t get as a child.